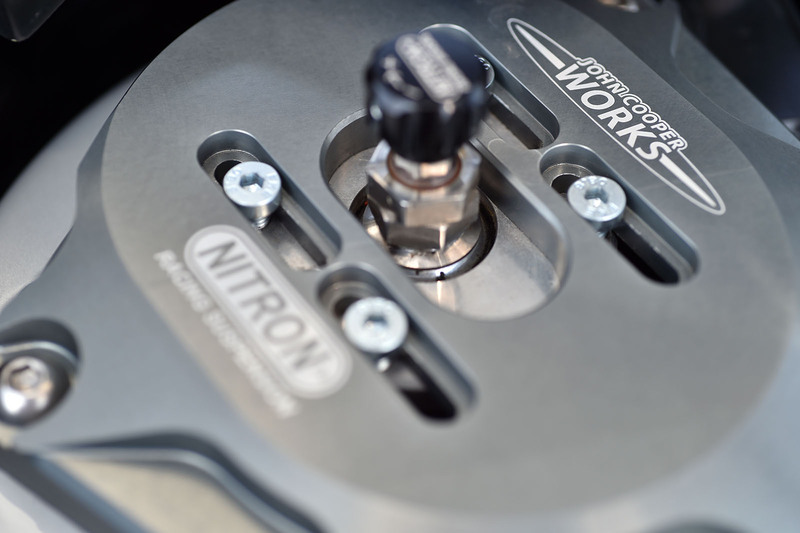 The chassis has been upgraded with Nitron springs and dampers along with front camber plates. 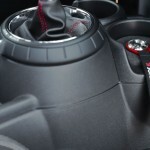 They will be fully adjustable for both height and camber. 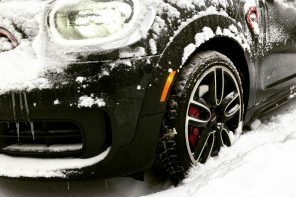 There’s also a stiffer set of sway bars to give flatter handling. 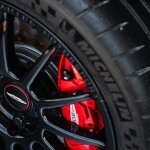 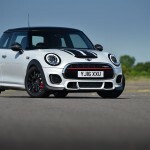 Brakes are the same four-piston Brembo set-up from the JCW but the Challenge will use bespoke Mintex pads of greater bite. 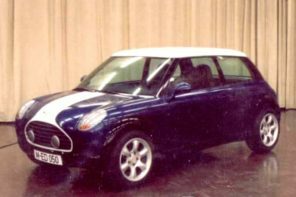 Sadly this is a UK only release with no current plans on selling it elsewhere. 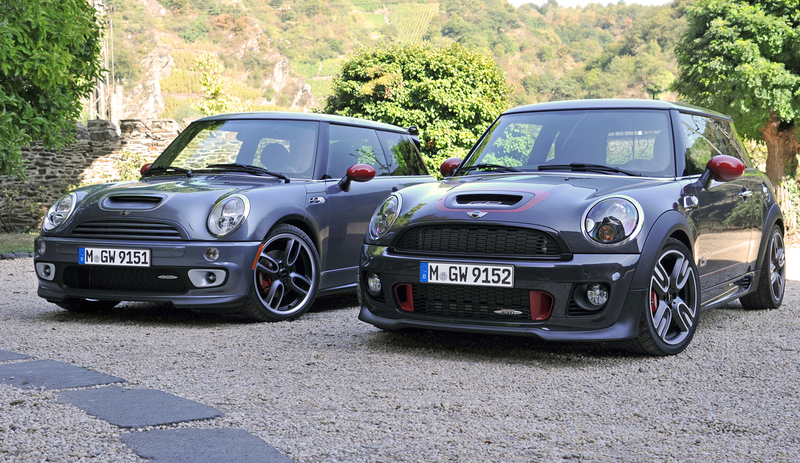 However its rare when MINI produces such a well engineered model for a one market. 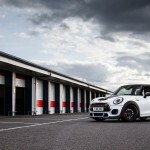 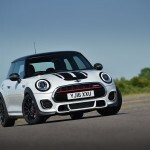 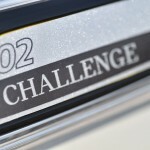 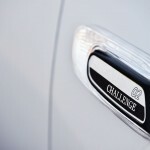 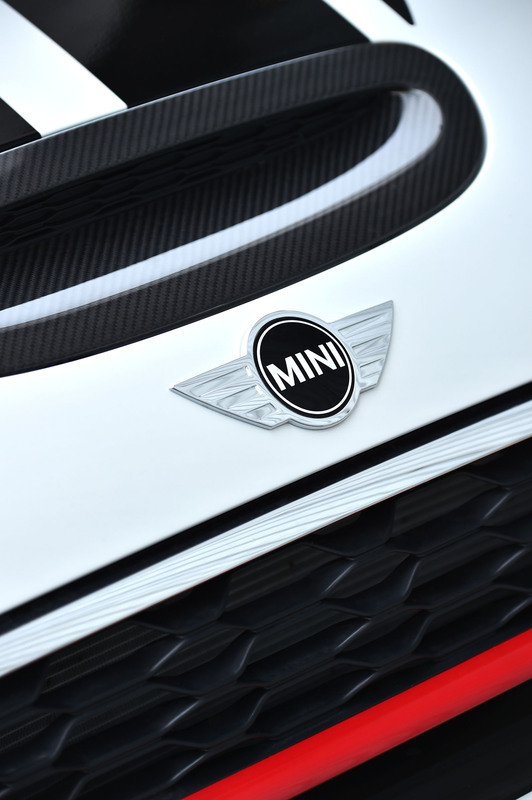 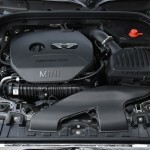 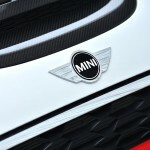 We’d be surprised if MINI isn’t considering the JCW Challenge for other markets outside the UK. 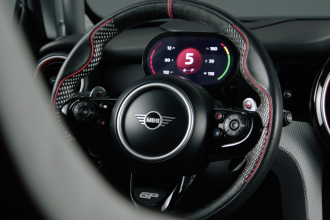 Based on the ultimate performance MINI, the latest John Cooper Works Hatch, the Challenge takes more than just inspiration from the current Challenge-specification racing car. 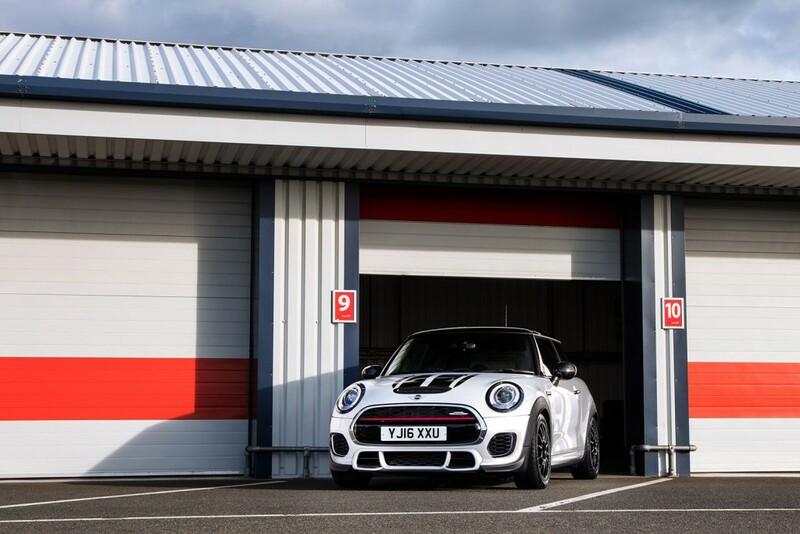 The small, passionate development team, based at MINI Plant Oxford in the UK, worked in partnership with key suppliers on the racing car to deliver the best solutions for a genuinely credible trackday machine. 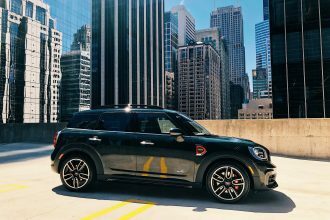 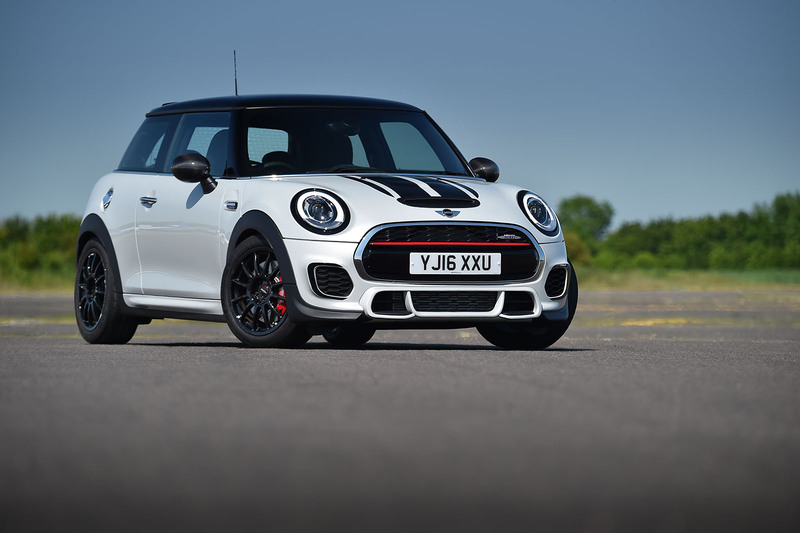 With its super-sticky Michelin Pilot Sport Cup 2 tyres, adjustable suspension and limited slip differential, the MINI John Cooper Works Challenge takes bespoke track performance to levels never before seen in the small hot hatch class. 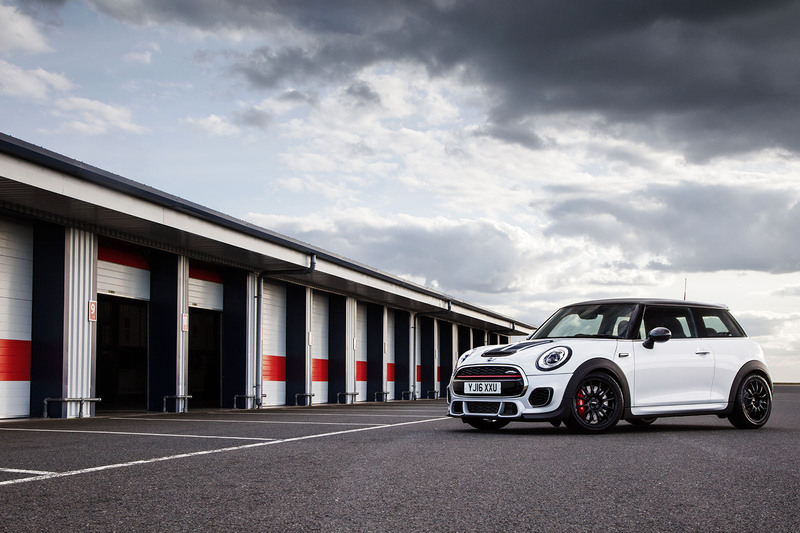 Limited to a maximum of 100 units, the exclusive MINI John Cooper Works Challenge features a unique colour combination and graphics, Genuine MINI JCW Pro Accessories, and is available in one fixed specification only. 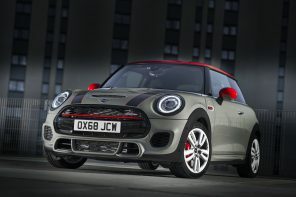 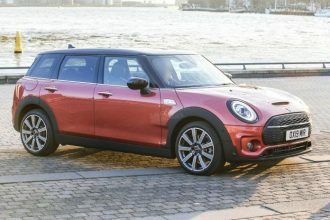 The basis for the new John Cooper Works Challenge is the MINI John Cooper Works Hatch, manufactured, like other MINI vehicles, at MINI Plant Oxford. 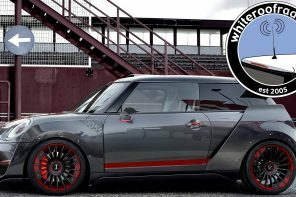 It’s there that a small group of MINI employees had a dream to create a MINI that was specifically designed and developed to excel on a racing circuit, while maintaining perfectly useable manners on the public road. 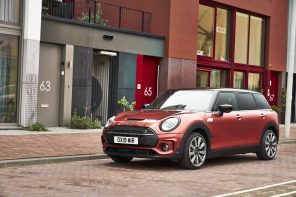 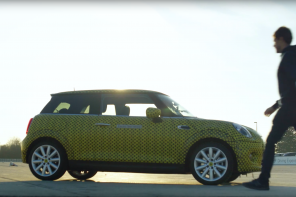 They collected their ideas outside of work time, fuelled by the desire to create a car that truly unlocked the performance potential of the latest MINI Hatch on a racing circuit. 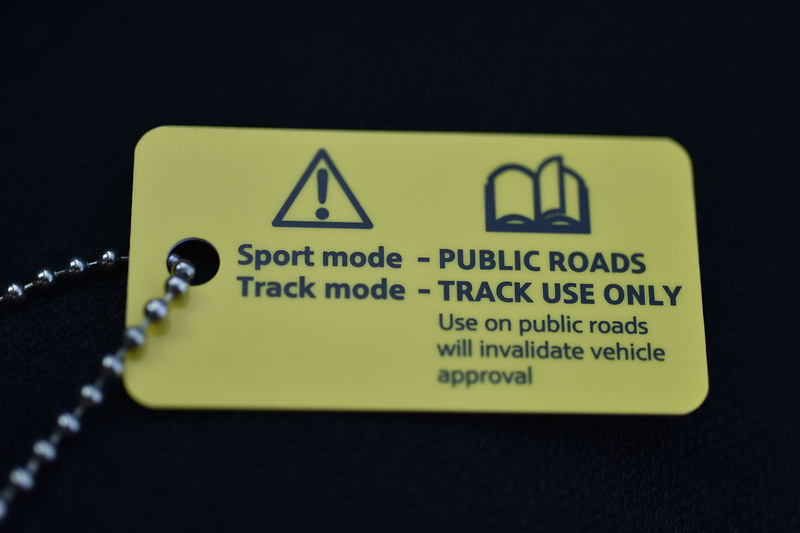 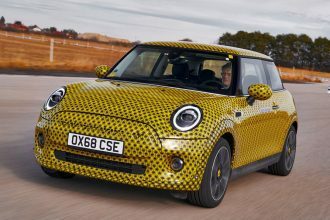 Extensive testing was then carried out on a range of circuits throughout the UK, with considerable road mileage also accrued as the specification and settings of the car were fine-tuned. 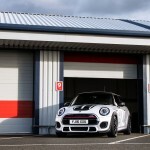 MINI John Cooper Works Challenge came to life in ‘Building 71’, a non-descript unit at Plant Oxford that houses OX4 Racing, a racing team run exclusively by MINI employees. 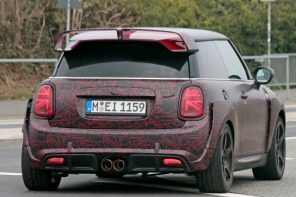 It can therefore be said that the new MINI John Cooper Works Challenge is truly a ‘works’ car for the track, in the finest tradition. 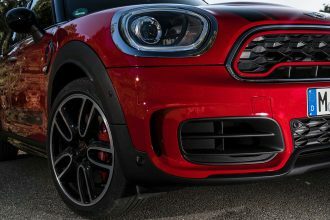 The new MINI John Cooper Works Challenge uses the latest MINI John Cooper Works Hatch as its basis – itself the most potent MINI ever produced. 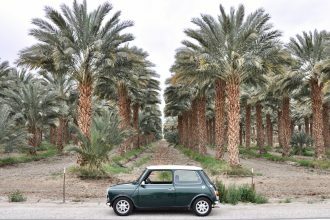 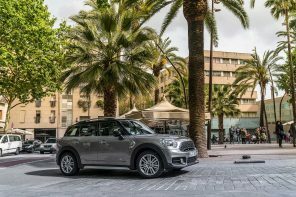 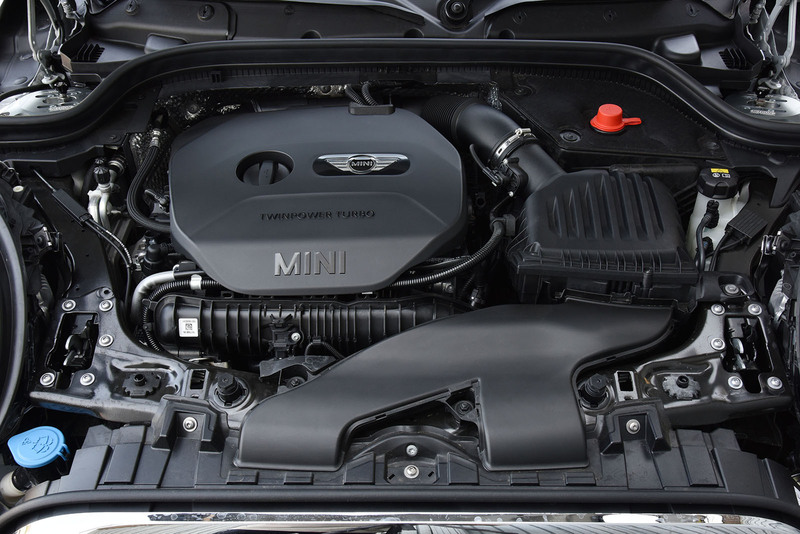 Powered by a 2-litre four-cylinder engine featuring MINI TwinPower Turbo technology, model-specific design of the pistons, turbocharger and exhaust release 231hp and 320nm of torque. 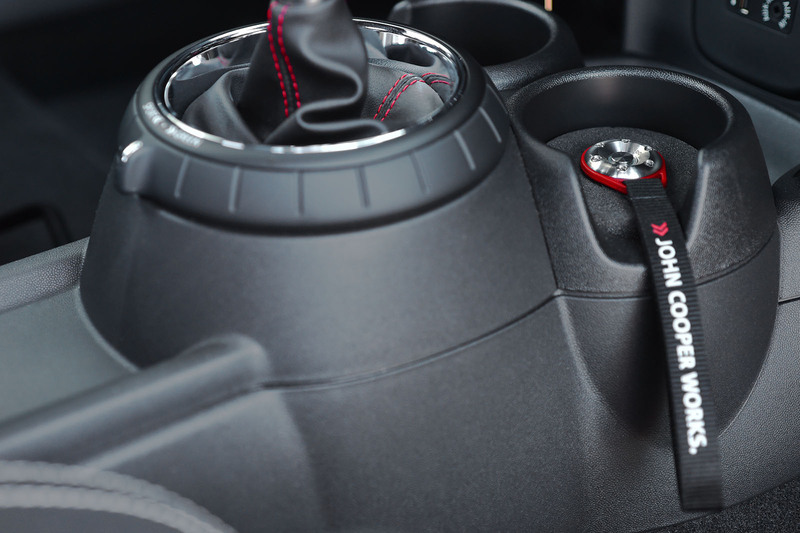 These prodigious outputs enable a 0-62mph time of just 6.3-seconds, with a top speed of 153mph. 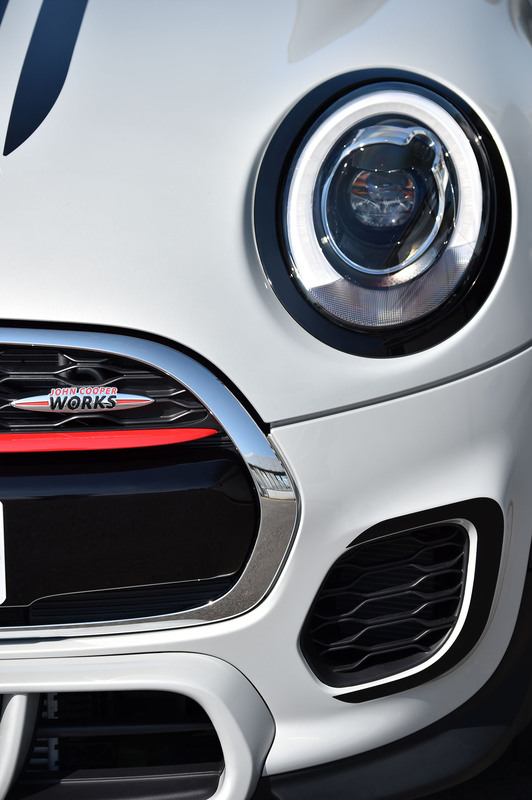 Nevertheless, when fitted with a six-speed manual gearbox (the only gearbox option available for John Cooper Works Challenge), John Cooper Works manages a remarkable 42.2mpg, with C02 emissions of just 155g/km. 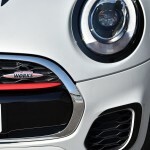 MINI John Cooper Works Challenge is readily identifiable by its bespoke body addenda, including enlarged air intakes at the front for increased cooling, uniquely contoured wheel arch extensions and a rear spoiler. 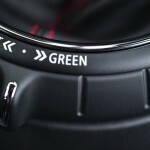 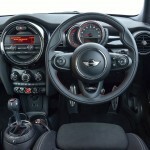 Inside, John Cooper Works sports seats and sports steering wheel create the perfect environment for driving enjoyment. 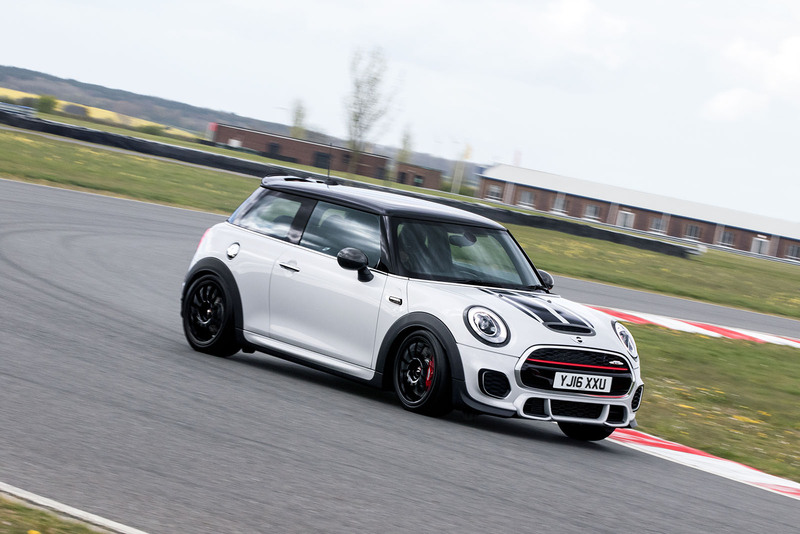 The standard MINI John Cooper Works is a formidable performance car on road and track, but the John Cooper Works Challenge’s small engineering team knew that it could be taken further still if on-track ability was prioritised to a greater degree. 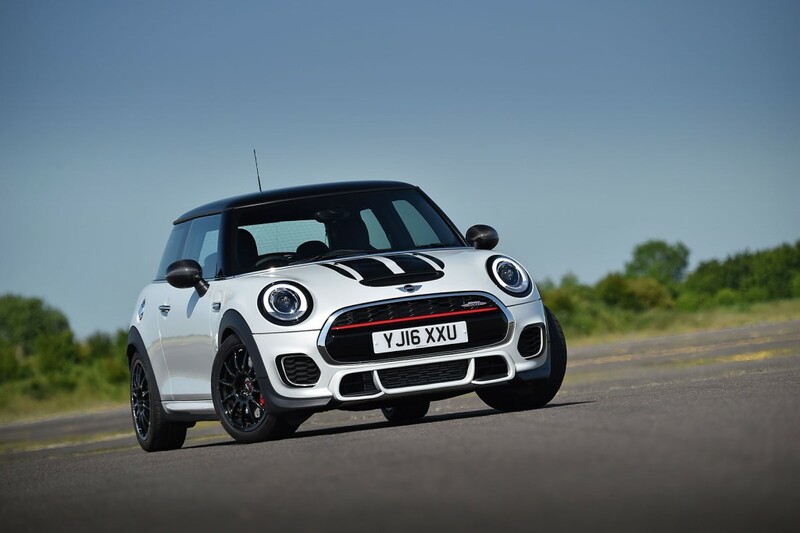 Realising that John Cooper Works Hatch’s exceptional, and moreover reliable and fully warrantied, power output was already ample, they concentrated their efforts in the areas of chassis, tyres and braking. 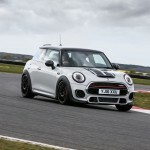 Many road cars are said to be ‘inspired by the world of motor racing’, but the link with John Cooper Works Challenge is a more genuine one than most: the engineers turned to Nitron for the suspension, Mintex for the braking requirements, Quaife for the traction benefits of a limited slip differential and Team Dynamics for particularly lightweight alloy wheels. 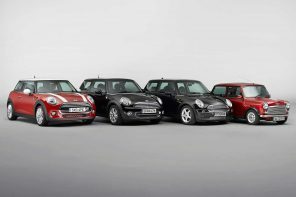 All these brands supply the MINI John Cooper Works racing car that competes in the top class of the UK MINI Challenge. 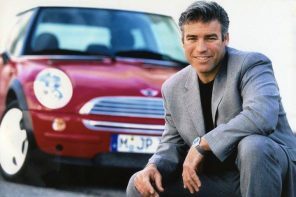 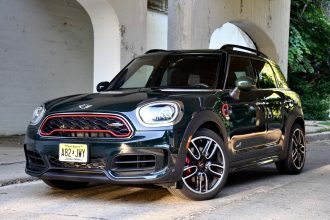 Not only were the team searching for ultimate track performance, but MINI John Cooper Works Challenge was also to be a car that rewarded enthusiast drivers on the public road, while maintaining everyday usability. 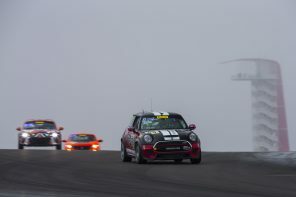 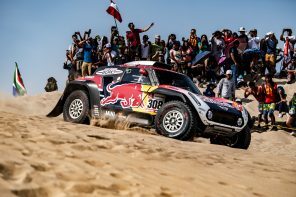 To that end, it seemed imperative that John Cooper Works Challenge featured a suspension that could be adjusted by the driver to the environment in which the car was being driven. 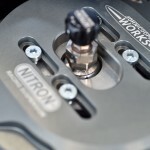 UK-based suspension supplier Nitron has provided coilover spring and damper units based on its NTR R1 system. 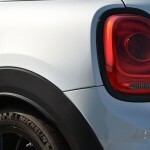 These are adjustable for bump and rebound, as well as for overall ride height. 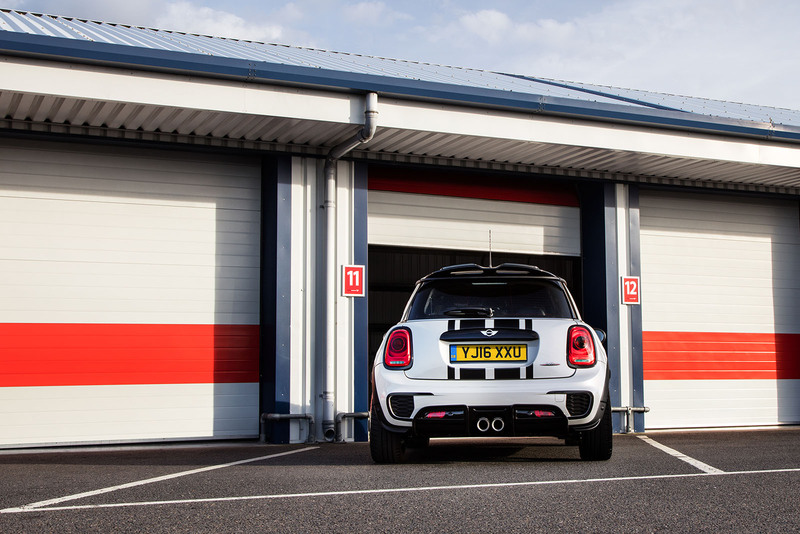 The R1 is a direct development of the racing dampers used on the John Cooper Works racing car, and is hand-built with many titanium and hard-anodised parts to the very highest quality standards. 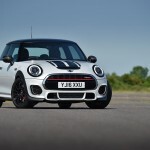 Camber adjustment plates on the front axle allow for an increase in negative camber, with John Cooper Works Challenge possessing two degrees of negative camber on both the front and rear axle. 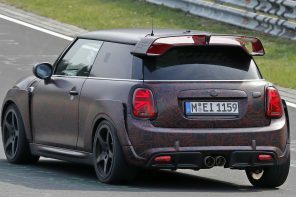 Thanks to both camber and castor being adjustable, the suspension geometry of the new car is significantly different to that of the standard car. 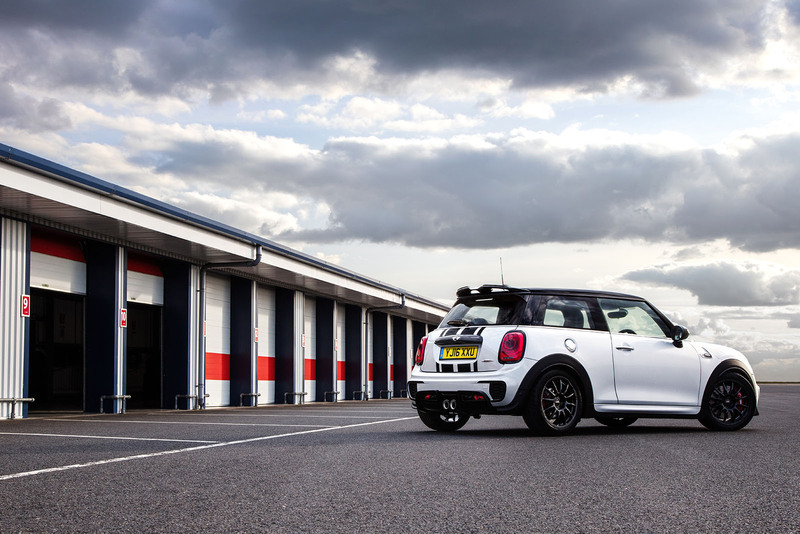 MINI John Cooper Works Challenge is supplied with recommended settings for both road and track driving, the damper units offering adjustment through numerous ‘clicks’, but owners can choose to experiment with their own settings to tune the car precisely to their own tastes. 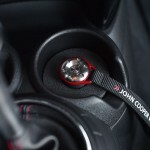 For superior traction when powering out of corners, John Cooper Works Challenge is fitted with a Quaife automatic torque biasing (ATB) limited slip differential in place of the standard car’s open item. 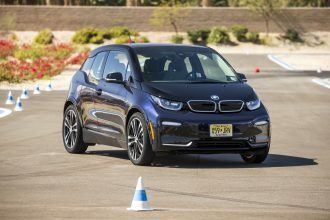 This proven component, which uses helical gears instead of a plate-type LSD, offers a seamless operation without any abrupt ‘lock up’, and assists braking performance as well as transferring power away from a spinning front wheel during acceleration. 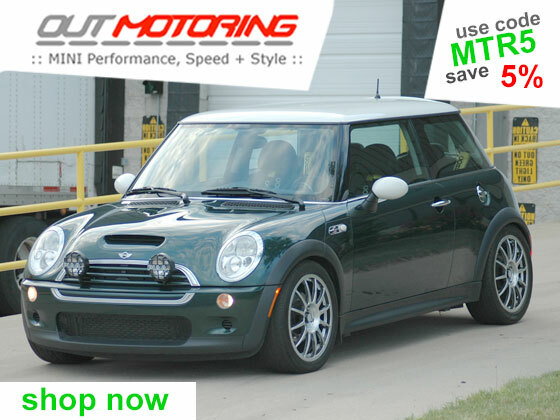 The Quaife ATB differential works in combination with all standard fit electronic systems (DSC, Performance Control, etc). 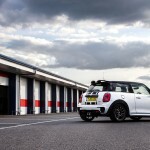 Few aspects of a car affect track performance more than tyres, and the John Cooper Works Challenge engineering team spent a lot of time during the development process testing different makes and compounds to find not only a tyre that gave the most grip on a circuit, but one that also worked well on the road. 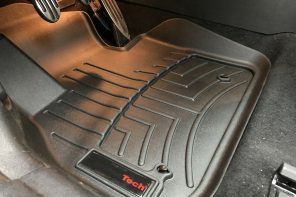 The solution was the acclaimed Michelin Pilot Sport Cup 2, original equipment for a host of high-performance cars, and uniquely able to summon extremely high grip levels without causing any refinement issues. 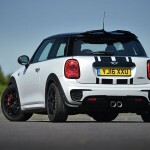 MINI John Cooper Works Challenge retains the 17” wheel size of the standard John Cooper Works Hatch, but features 215/45 R17 tyres on a 7.5” wheel, 0.5” wider than the original specification rim that uses a 205/45 R17. 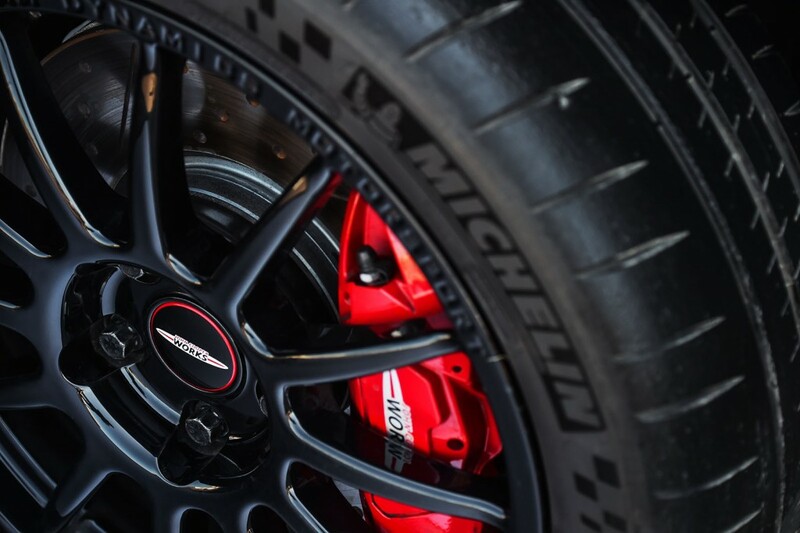 The wheels are also specifically chosen for ultimate performance: the Team Dynamics Pro Race 1.2 rims save 1.5kg of unsprung mass per corner. 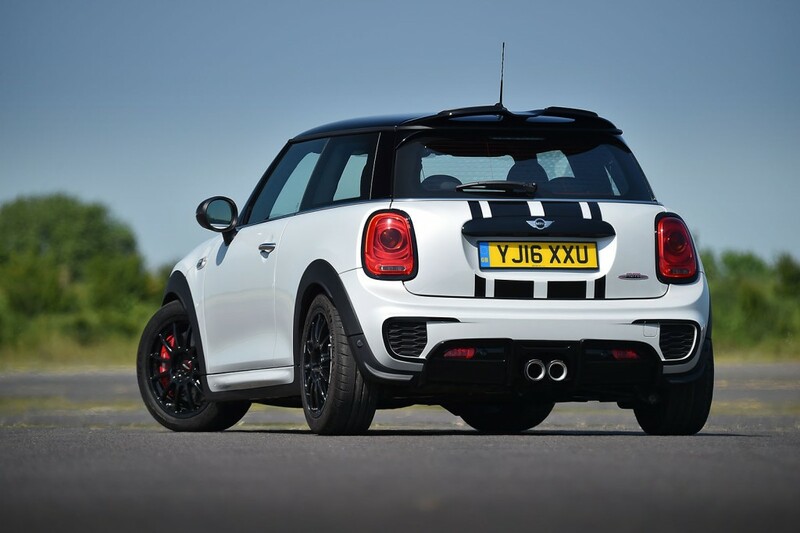 Combined with the Michelin Pilot Sport Cup 2, this weight advantage further increases to 2.5kg per corner. 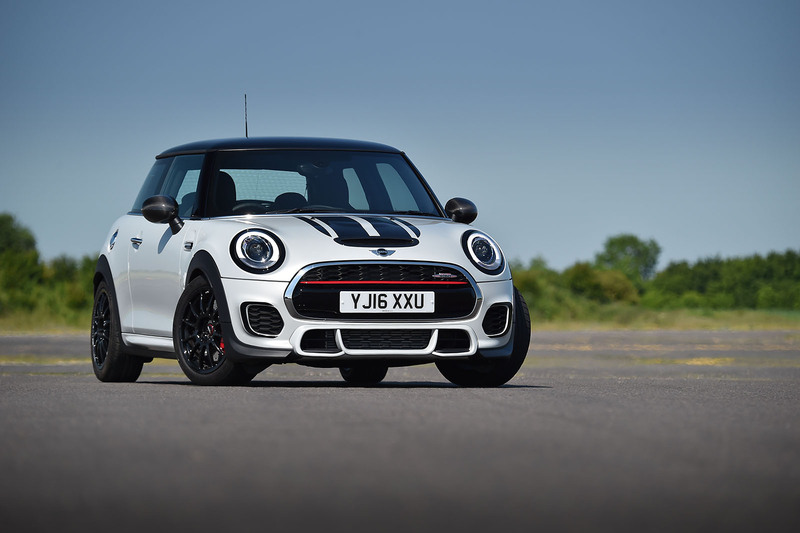 John Cooper Works Challenge employs grooved and part-drilled 330mm front discs with four-pot Brembo-developed calipers, sourced from the MINI JCW Pro Accessories range. 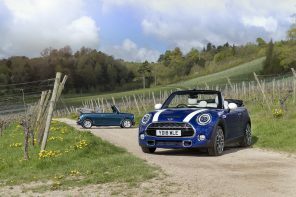 These are paired with specially developed Mintex brake pads. 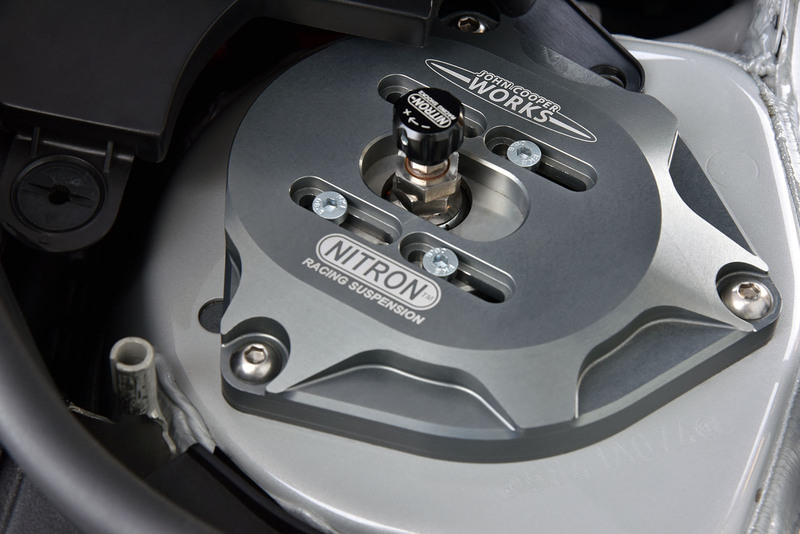 This combination offers superb braking power with excellent resistance to fade on track. 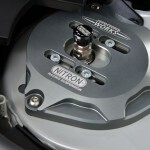 Even so, no compromise with on-road braking response has been required, even when used from cold. 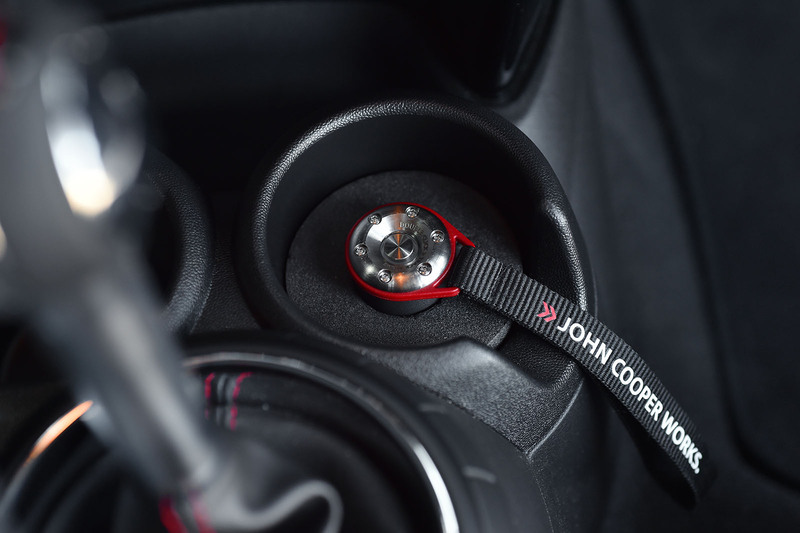 The new John Cooper Works Challenge takes full advantage of the MINI JCW Pro Accessories already available for John Cooper Works Hatch. 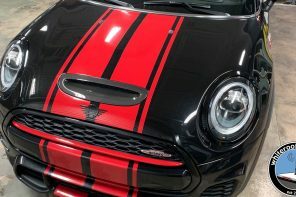 The JCW Pro Aerokit, which features lower front splitters, rear spoiler add-ons for the already large roof spoiler, rear diffuser and rear splitters for additional aerodynamic performance, enhances the already distinctive, aggressive exterior styling. 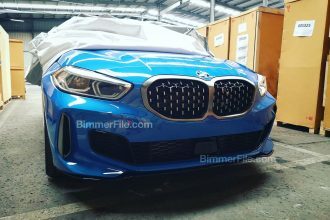 The carbon fibre air intake further complements enhances the look of this new model, as do the Carbon Fibre Mirror Covers. 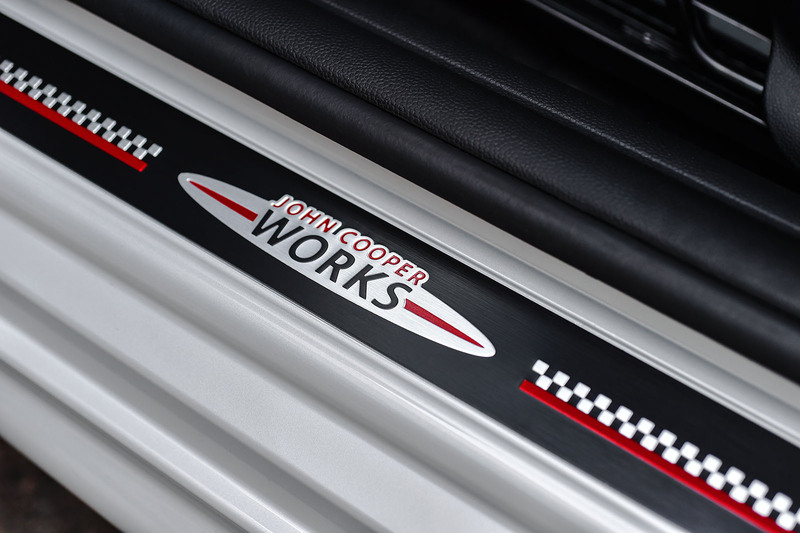 A JCW Pro exhaust with carbon fibre tailpipe finishers not only maximises the flow of spent gases, but also gives John Cooper Works Challenge a purposeful roar. 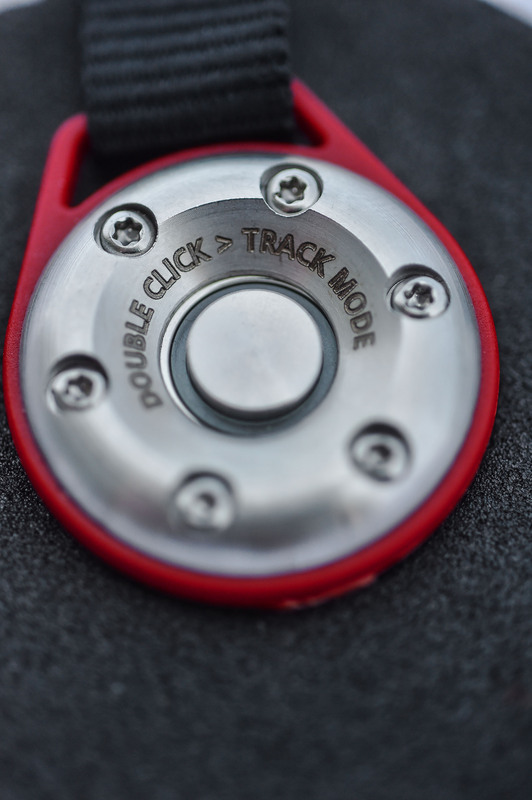 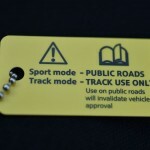 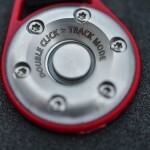 It can be controlled via a Bluetooth link, offering a choice of Sport and Track sound levels. 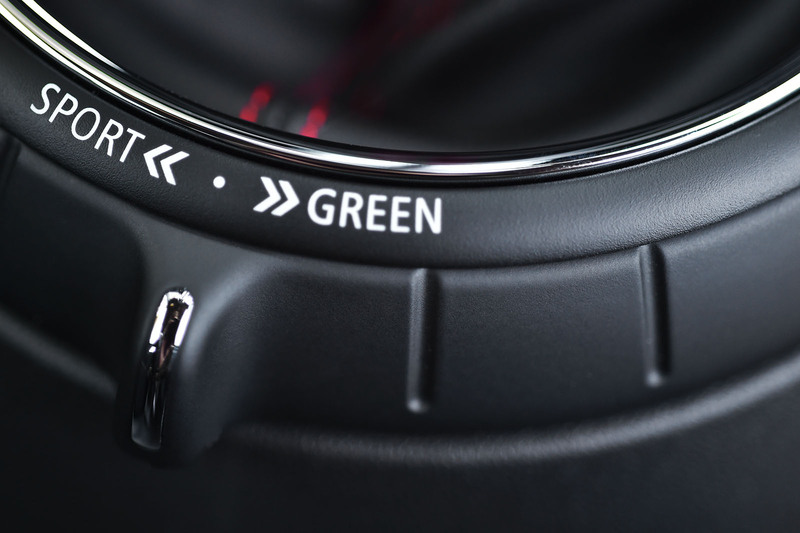 The grooved brake discs are also taken from the JCW Pro Accessories range, although the Mintex pads fitted to the Challenge are unique to this model. 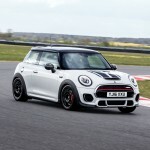 MINI John Cooper Works Challenge will be built in no more than 100 units, and is available with one fixed specification and exclusively with MINI’s acclaimed 6-speed manual gearbox. 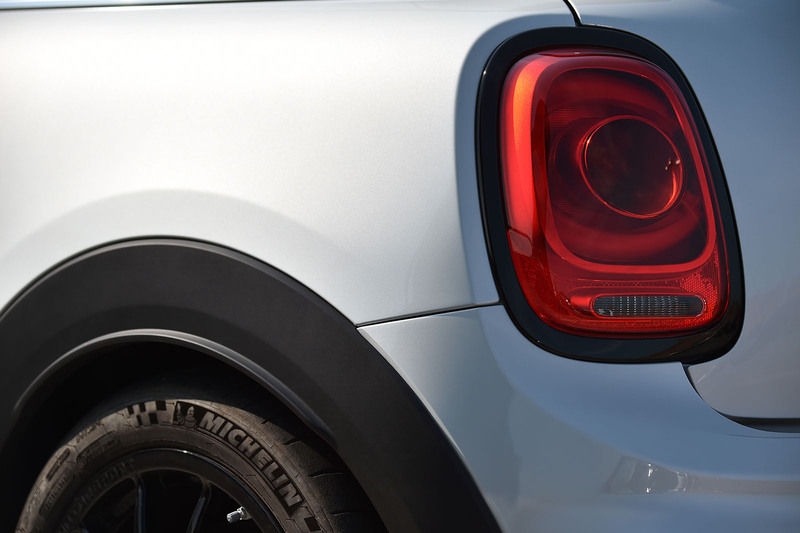 Every John Cooper Works Challenge is painted in White Silver, can be readily identifiable by a bespoke graphics package, and has the 17” alloy wheels finished in black. 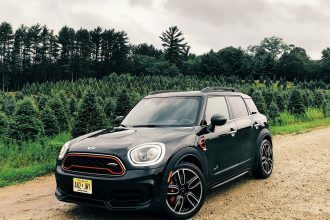 Black roof and mirror caps complete this unique style. 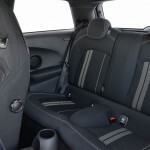 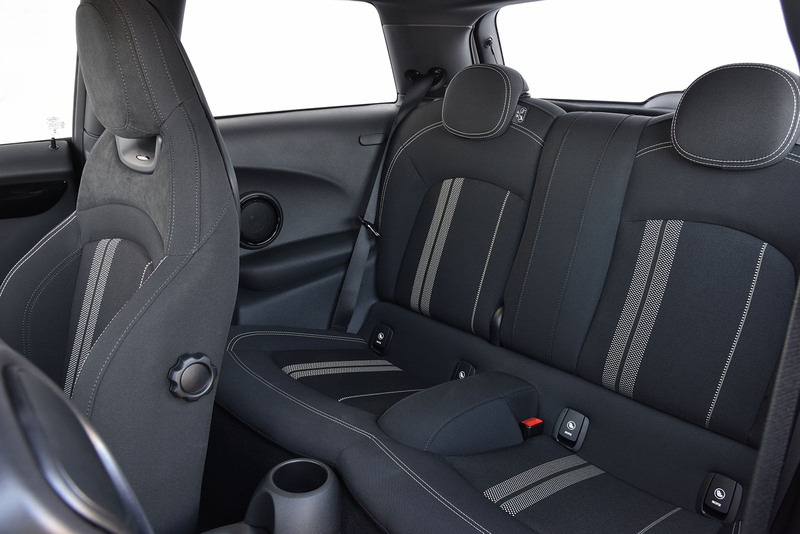 Inside, the Dinamica/cloth interior combination is also finished in Carbon Black. 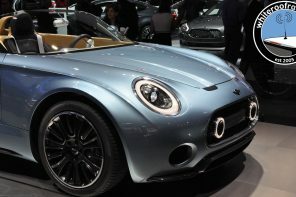 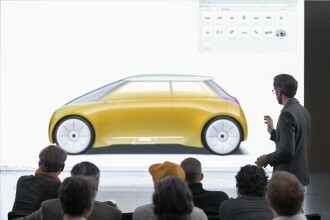 The passenger side facia of each car bears its unique build number in the series, testament to the exclusivity of this unique model. 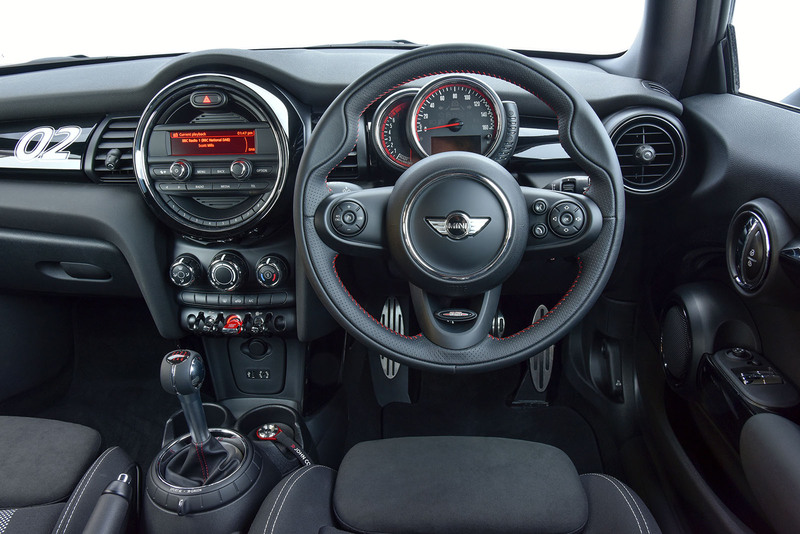 The standard specification includes Piano Black interior trim, rear Park Distance Control, Rain Sensor with Auto headlight activation and Adaptive LED headlights. 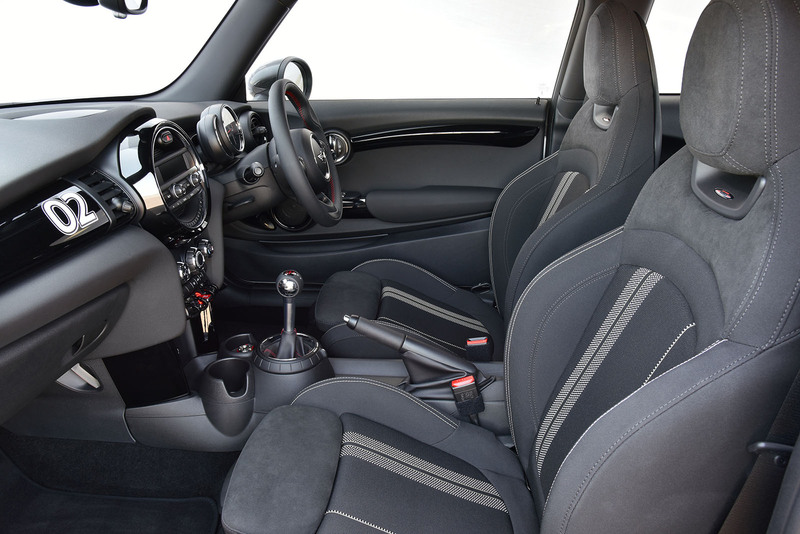 No amendments to the standard specification are possible, and the OTR price is £32,000. 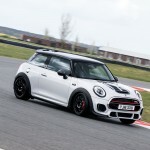 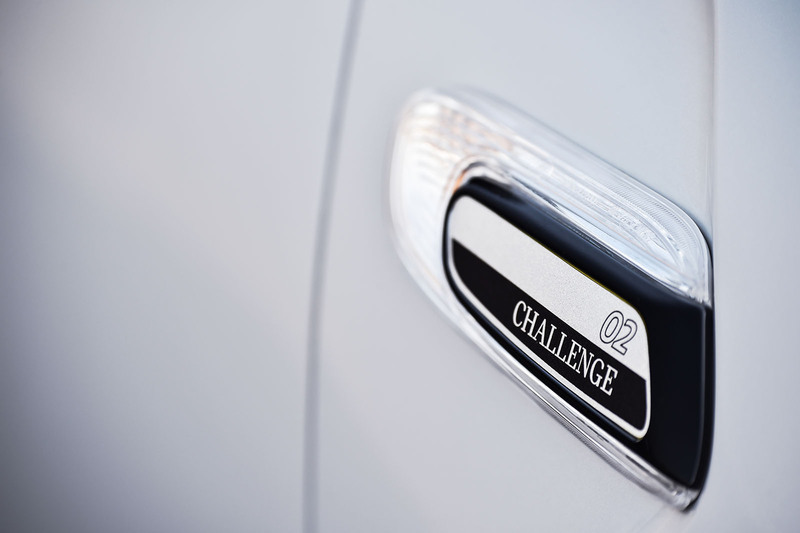 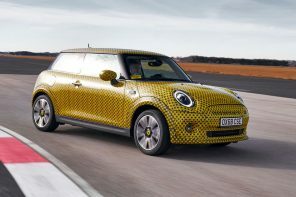 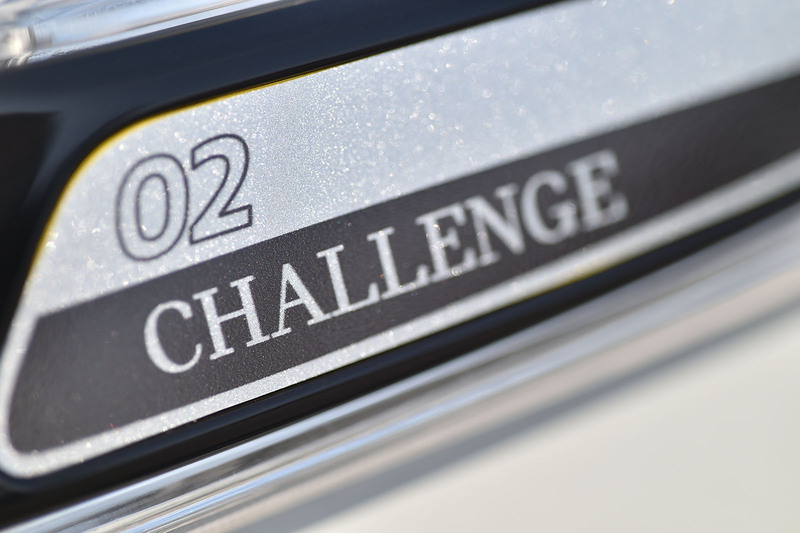 MINI John Cooper Works Challenge will be unveiled to the public for the first time on the MINI stand at Goodwood Festival of Speed, 23rd to 26th June, and is available to order at MINI retailers across the UK now. 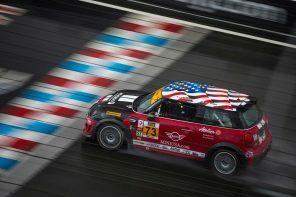 The MINI Challenge has provided the best MINI racing in the UK since 2002, and is part of a family of racing championships run across Europe. 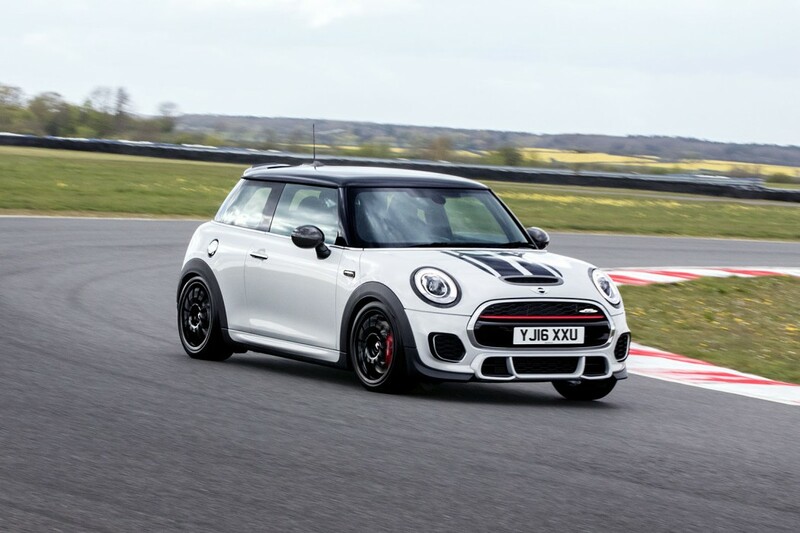 For 2016, the UK MINI Challenge is split into three classes, offering incredibly close racing to drivers on a wide spread of budgets. 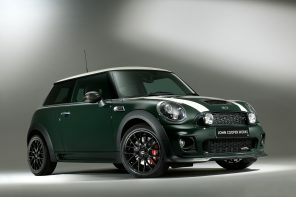 The top class features the current John Cooper Works racing car, best described as a ‘MINI-touring car’. 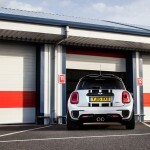 With up to 255bhp and a six-speed sequential gearbox, these are the ultimate racing MINI models. 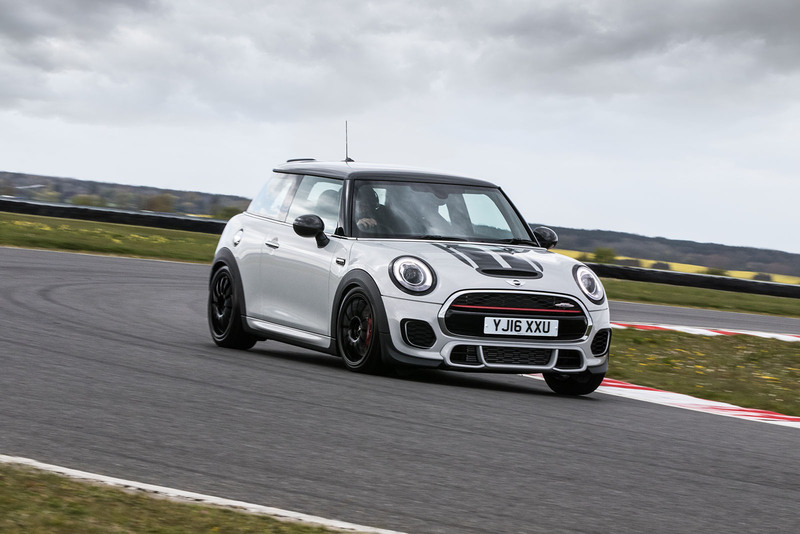 The Cooper S class is for previous generation (2006-2014) 1.6-litre Turbo cars built to Challenge specification, while the entry-level Cooper Class features normally aspirated first generation MINI models (2001-2006) and is ideal for those starting out in circuit racing. 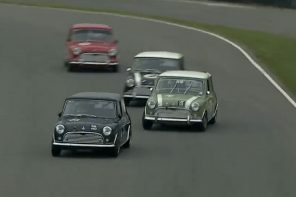 An Open Class has also been inaugurated for MINIs outside of these three classes.